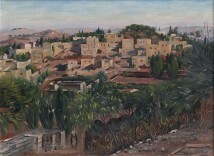 Blum Ludwig (1891-1974 b. Czechoslovakia) One of Israel’s most prominent artists. 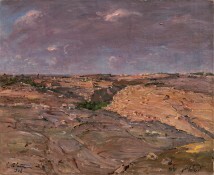 Studied painting in Prague, Vienna, Paris and Amsterdam. 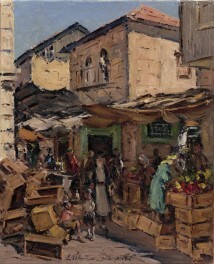 Immigrated to Israel in 1923. 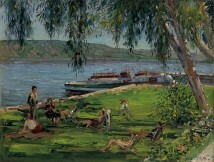 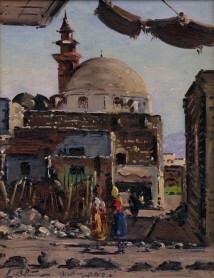 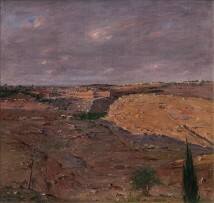 Painted mostly landscapes, among his favorite subjects were Jerusalem, the Judean Desert and the Dead Sea. 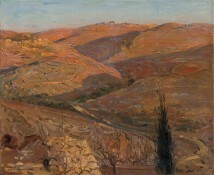 An extensive solo exhibition of his works was held at Beit Hatfutsot, the Diaspora Museum, Tel Aviv University in 2009.